The Accounting Information Technology degree program offers students a unique, 150-hour course of study, where they earn both a Bachelor of Business Administration in Accounting and a Bachelor of Arts in Computer Information Technology. Students earning the Accounting Information Technology dual degree learn generally accepted accounting principles, costing methods, auditing and financial reporting – the pillars of an Accounting degree – but they also gain technical expertise. Students evaluate information technology issues and solve those issues with viable processes that meet the needs of users. With the growth of technology and the increasing demand for accountants, the combined degree is extremely marketable to employers, and the program works to connect students directly with Austin’s business and technology ecosystem. Accounting Information Technology graduates qualify for positions as systems analysts, IT consultants, IT auditors, financial analysts and fraud examiners specializing in cybercrime. The degree can also lead to licensure as a CPA. Major Requirements: The Accounting Information Technology degree program requires 97 hours of major coursework. General Education Requirements: All majors require 44 hours of general education that students complete over the course of four years, in addition to their major courses. View and download the full degree plan for our Accounting Information Technology program (PDF). Accounting Information Systems – Examine fundamental accounting information systems. The course focuses on semantic modeling and systems design; the relationship of system and organization; and objectives, policies, procedures and plans. Database Theory and Applications – Receive an introduction to database concepts, data models, data description languages, query facilities, file organization, file security and data integrity/reliability. Web Programming – Learn online programming concepts, including form processing scripts, data structure, basic database connectivity and the appropriate structure and style for the World Wide Web. Our Accounting faculty members bring experience in the accounting profession – as auditors, tax practitioners, business consultants and government administrators – to their instruction and research. They teach students a combination of qualitative, quantitative and ethical reasoning skills that prepare them for the global economy. Our Computer Information Technology faculty bring knowledge in database management, software application design and consulting for process improvements. Their courses ensure students gain experience with ever-changing technologies. "Our AIT students are in extraordinarily high demand from employers because of their unique skill sets." Both the Accounting and Computer Science Departments have close connections with the Austin business community. These relationships place students in the heart of Austin’s booming tech scene and provide opportunities for them to gain experience and graduate career-ready. 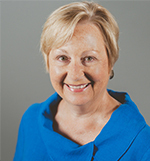 Students in Accounting and Computer Science courses can collaborate with professors on research projects and present their work at a number of local and regional conferences, including SOURCE, the on-campus undergraduate research forum, and at academic conferences. Students are required to complete a major research project for course credit in their final year in the program. Students in the program can take advantage of internship opportunities with Big 4 accounting firms (Deloitte, EY, KPMG and PwC), regional and local firms, and Austin-area business and government organizations. These employers recruit students on campus during the Job and Internship Fair and the Accounting Career Fair. Students can take internships for academic credit, as part of the required hours for the major. The internship course is structured to meet requirements set by the Texas State Board of Public Accountancy (TSBPA) for the CPA exam. Each fall, the Accounting Department hosts an Accounting Student Retreat for students to network with community professionals, learn more about internships and certifications, and gain tips for passing the CPA exam. Accounting Information Technology students develop skills and expertise in demand by Big 4 accounting firms, government agencies and large international companies. Students often pursue a wide range of professional certifications, such as Certified Public Accountant (CPA) and Certified Fraud Examiner (CFE). 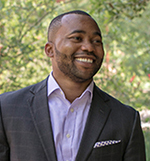 Linus Akanoh Jr. ’06 serves as a senior manager in the Strategic Risk practice at Deloitte and gives back to his alma mater as an adjunct instructor in The Bill Munday School of Business and through service as a member of the university’s Board of Trustees. Since joining Deloitte, he has been part of teams at crisis sites in Colorado, Louisiana, Georgia and Arizona and has led as many as 60 people. "There are very few typical days," he said, "because the world we live in is volatile and always changing. Tomorrow is a different reality." Read about other successful alumni, and see what they have to say about life after St. Edward’s. Anthony Fragapane ’18 took advantage of SEU’s strong alumni network and found a career mentor at KPMG. The mentor helped Anthony score a first-round interview with the firm and gave him advice on how to stand out during his summer internship. As a junior, Anthony accepted a full-time offer with KPMG upon graduation.